Tiger Woods made a handful of birdies and a couple of messy bogeys in his final start before the third major of the season. Woods, playing his final competitive round before the British Open at Carnoustie, closed the Quicken Loans National with a four-under 66 on Sunday at TPC Potomac. He finished 11 under for the week and tied for fourth, 10 shots behind winner Francesco Molinari, who cruised to his first PGA Tour victory. Ryan Armour was alone in 2nd place at 13 under. Woods began the day six behind the leaders, but after making three birdies and no bogeys on the front side he was just four back at the turn. But that's when Molinari got hot, and when Woods turned cold. Molinari started the back nine with an eagle and four straight birdies to pull away from the pack, while at the same time Woods hit his first roadblocks of the day. He went bogey-birdie-bogey on 11-13 before making back-to-back birdies on 15 and 16. His back-nine birdies were putts of nine, eight and 15 feet, respectively. He also missed a three-footer for birdie on 14. 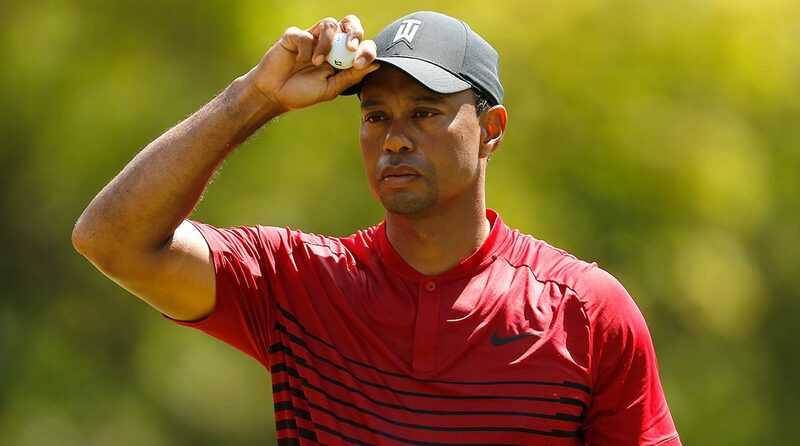 But even as Woods birdied 16 to get to 11 under for the tournament, he was still nine behind Molinari, who at the time was eight clear of the rest of the field. After a par on 17, Woods missed the fairway on 18 and had to hack out, missing right of the green. He got up and down for par to close his day. "It was nice to make a couple of birdies coming in," Woods said. "I missed a little kick-in there on 14, but overall it was a good, solid day."